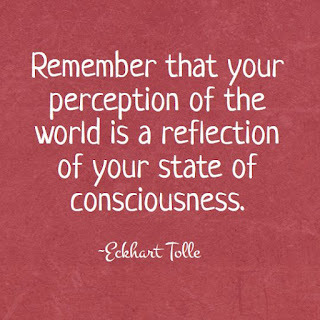 As we view the world, we all have a different perception about how we see and feel about it. Many people have different mind sets. Sometimes someone can be having a bad time in their life and many things are going wrong. Their perception of the world could be hate and anger towards it. They could think the world is working against them, making many things seem negative. Many people in a bad state of mind or ones feeling guilty could take what someone else is saying the wrong way. On the other hand, positive and happy people who are in a good place in their lives could view the world as a magical place. When going outside and looking at nature they could see the bright, colorful flowers, trees, and even the blue sky. They could even view rain as relaxing rather than depressing. People can take the good out of others and accept their flaws, or they can see others flaws and bring them down, sometimes just to make themselves feel better. 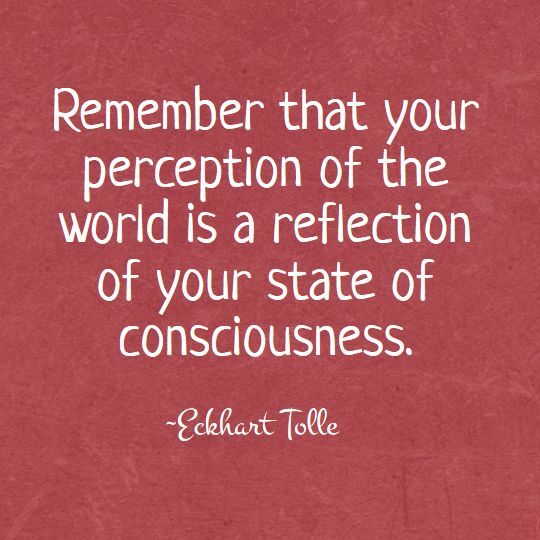 This quote is the perfect example of how people view the world and the things around them depending on what state of mind they are in. I have always loved this quote because it is the biggest indicator of why someone treats others the way they do. This explains why happy people are always nicer people and why unhappy people are usually more bitter. It goes hand-in-hand with the quote "misery loves company" in the sense that miserable or unhappy people are always trying to bring others down with them, highlighting their flaws to make themselves feel better.